ABB is a technology-based provider of power and automation products, systems, solutions, and services. Building on our core strengths of technology leadership, pioneering spirit and a sustainable approach to business, ABB helps our customers to become more profitable while lowering environmental impact. We are committed to providing you with KROHNE's 83+ years of flow and level measurement expertise at your facility. Anton Paar is the world leader in several areas of scientific instrumentation. Density measurement, rheology, viscometry, and microwave synthesis are the main areas of our business. McCrometer is a global leader in providing flow measurement solutions including differential pressure (DP), electromagnetic, and propeller technologies. McCrometer’s flow measurement solutions are found in thousands of installations worldwide, including the Oil/Gas industry where the company participates in all industry segments. With its exceptionally precise and robust differential pressure (DP) flow measurement technology, McCrometer’s flow meters are ideal for the rugged conditions and demanding operating environment of the oil/gas industry. From production to refining to pipelines, McCrometer has a broad installed flow meter customer base worldwide. The company’s V-Cone® and Wafer-Cone® Flow Meter conforms to API 22.2 and meets the industry’s most stringent safety standards. Your site is operating on minimal power with no staff in brutal conditions. You need the most reliable, accurate level measurement. 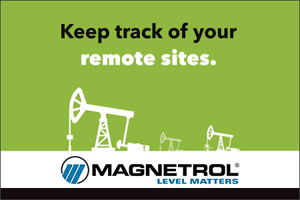 That's why Magnetrol® matters. With little power and minimal installation time, our technologies deliver critical information through the communication protocols you use, like ModBus. Because out here, level matters .